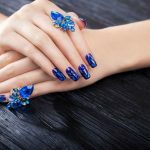 We all want to have beautiful nails that are thick and strong but as we go about our daily routine and live our busy lives, our nails get exposed to potentially damaging situations. Growing your nails begins with improving daily habits. Read our best novel beauty tips for keeping your nails healthy, strong and free from damage. Soaking your nails helps keep them strong and hydrated, and it can be pretty relaxing too. 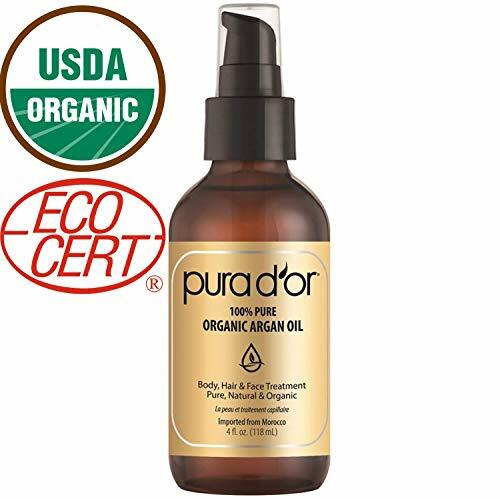 There are various oils that you can use for this purpose: castor, tee tree, vitamin E, argan and coconut oils work a treat. Just soak each hand in a bowl for approximately ten minutes – if you soak them one at a time, you can eat some popcorn with the other hand while you watch a chick flick: voila, fun Friday night in. Using nail polish remover too often can lead to dried-out nails, so it’s better to increase the length of time between manicures so your nails don’t become too overexposed to nail polish remover. 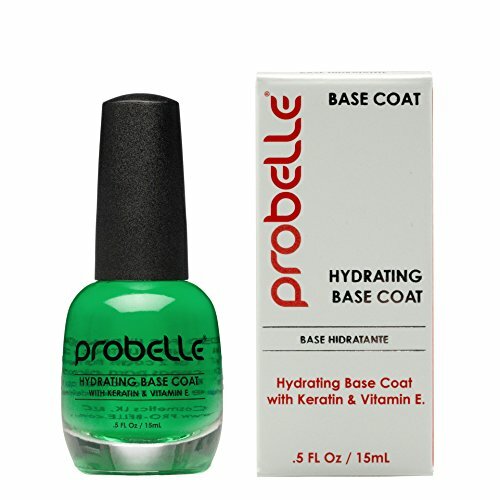 Use a hydrating base coat and push your cuticles back, and follow up with an additional application of top coat every couple of days, to make your mani last longer. If your nails weaken and break as they grow longer, it may be worth keeping them short – they won’t get accidentally broken, and they can still look cute. The shorter your nails, there’s less surface area that is exposed to harsh products and water. 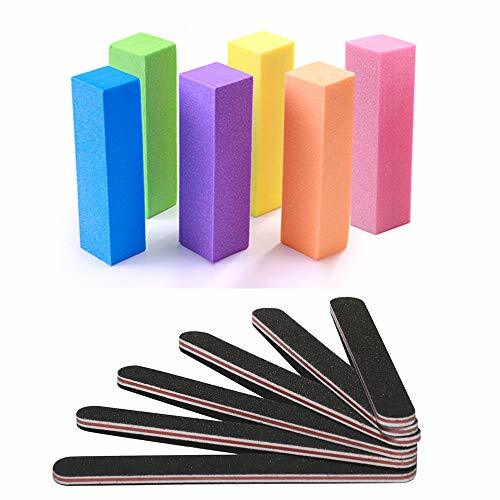 The nail tip is vulnerable to damage even when performing the lightest tasks like peeling off a sticker or opening a can of soda, so you should definitely avoid using your nails as tools to pinch things, grab things and break things. Protect your nails (and hands!) while washing the dishes, cleaning the house and gardening. Don’t expose your hands to harsh detergents and chemicals, and try not to have them submerged in water for long periods of time. Keep sipping water all day long – this helps keep your nails, hair and skin in the best condition they can be in and keeps you in general good health, as does balancing your diet. Water, and the amount you drink, has a direct bearing on the condition of your nails and cuticles. This year, I’ve made a conscious choice to cut down on plastic and started using reusable water bottles. 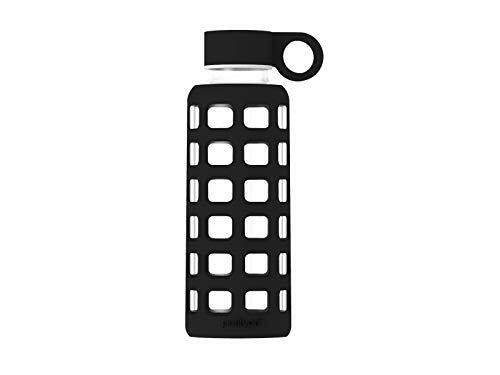 I highly recommend investing in this gorgeous Purifyou premium glass water bottle, it’ll remind you to keep hydrated and most importantly – it comes free from toxic chemicals. Keeping your hands and nails moisturized is so important when it comes to keeping your nails strong – it helps to prevent nail peeling and cuticle picking. And ladies, be careful with it comes to cutting or picking your cuticles: in addition to being painful, it lets in bacteria. You can use cuticle oil to moisturize them and help keep them soft as you push them back gently. Keep your hands soft and your nails hydrated with this Sally Hansen Vitamin E Oil. Alcohol-based hand sanitizer is known to wreak havoc on your nails – opt for an alcohol-free one, or stick to rinsing your hands with warm soapy water followed by using the cuticle oil or hand cream we talked about earlier. 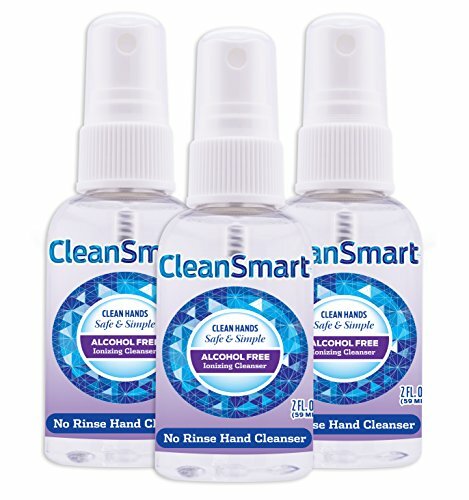 You can stock up on healthy hand sanitizers on Amazon – my favorite is the CleanSmart skin & hand cleanser. One of the biggest mistakes in home manicures is forgetting to care for your cuticles. In fact, cuticles play an integral role in your nail health by fighting harmful bacteria. That’s why it’s important to moisturize this area to prevent tears that can lead to infection. 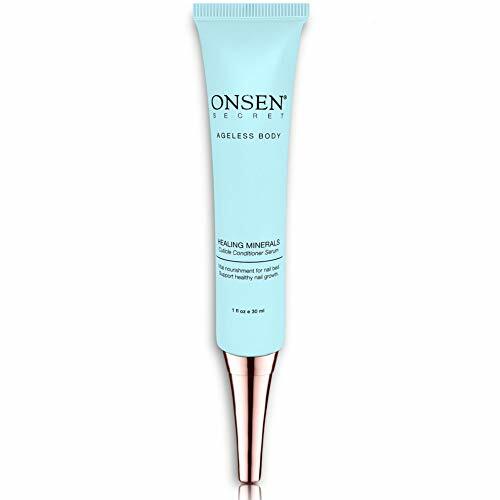 This Onsen Secret cuticle conditioner serum contains natural ingredients for healthy skin. Biotin is a form of Vitamin B and one of the best vitamins to promote hair and nail growth. Naturally biotin reach foods include salmon, bananas and yeast but most of us benefit from taking it as a supplement. If you want to boost your nail health, check out my top 5 hair and nail supplements. Stick with these tips and your nails should be strong and healthy for as long as you live!